In an early morning press release today, the BLM announced they will defer all 20 parcels totaling 20,555 acres in the North Fork Valley from the February 14th lease sale. Last week Citizens for a Healthy Community announced they were prepared to file a lawsuit if the parcels were included in the sale. The BLM will proceed with offering 151 parcels totaling 88,578 acres at its February 14 lease sale. 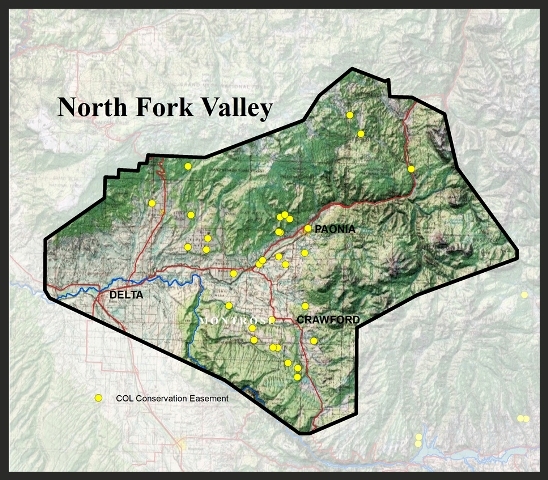 On their website, Citizens for a Healthy Community called the BLM announcement “a tremendous victory for the community in the North Fork Valley! Thank you to everyone who wrote letters to the BLM, our U.S. Senators, Rep. Tipton, and other elected officials asking them to make the right decision and removed the parcels from the sale.” CHC pledges to keep the pressure on the BLM to make sure the North Fork parcels are not put up for leasing again. 3.) US Senators Mark Udall & Michael Bennet for supporting constituents. 4.) State Legislators Senator Gail Schwartz ( gail.schwartz.senate@gmail.com) and Representative Millie Hamner (millie.hamner.house@state.co.us) for being attentive to local concerns. THANK YOU PEGGY FOR POSTING THIS BLOG.